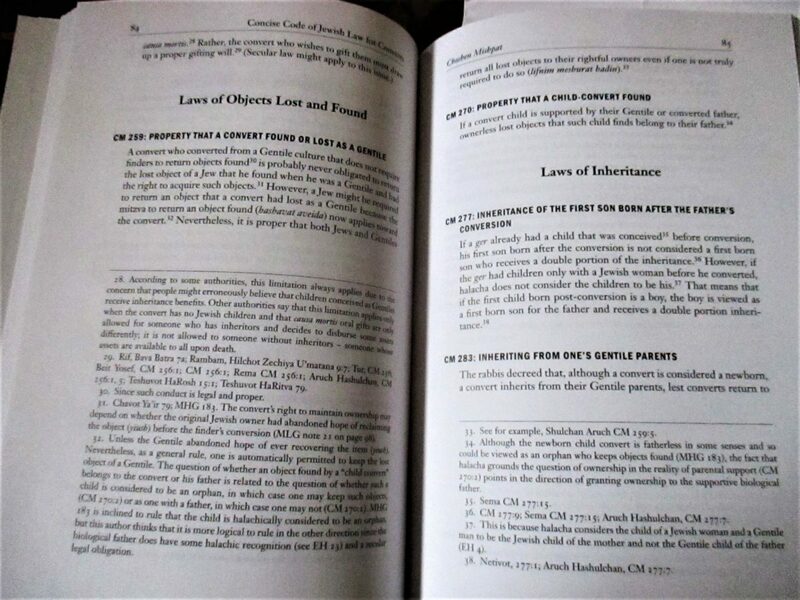 A Concise Code of Jewish Law for Converts By Rabbi Michael J. Broyde is an amazing book about the complexities that face people after their conversion to Judaism. I know many converts, but until I read the book I hadn’t a clue as how complicated things can get for them in their new status as Jews. 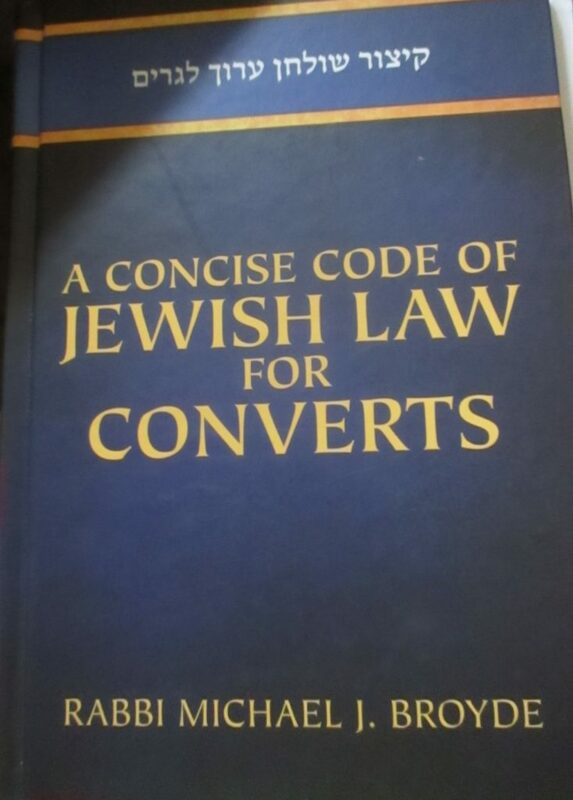 A Concise Code of Jewish Law for Converts by Rabbi Michael J. Broyde goes into all sorts of situations and “what ifs,” whether it’s the day of the conversion or in general. Some of the situations seem rather improbable, like conversion on Yom Kippur, but I guess if Broyde wrote about it, such as situation must have occurred. Other situations, like kosher food cooked before the actual conversion. 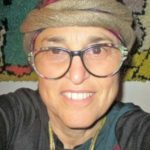 Is it considered permissible, even though food cooked completely by a non-Jew is generally problematic? Rabbi Broyde goes into some very important and common questions about the halachic and problematic family relationships that many or most converts find themselves in. Even though a convert is a “new person,” he/she came from a family, and in most cases continues very loving and respectful relationships with them. Quite often the non-Jewish family members are their own biological children and grandchildren. I think we all know of converts in those situations. 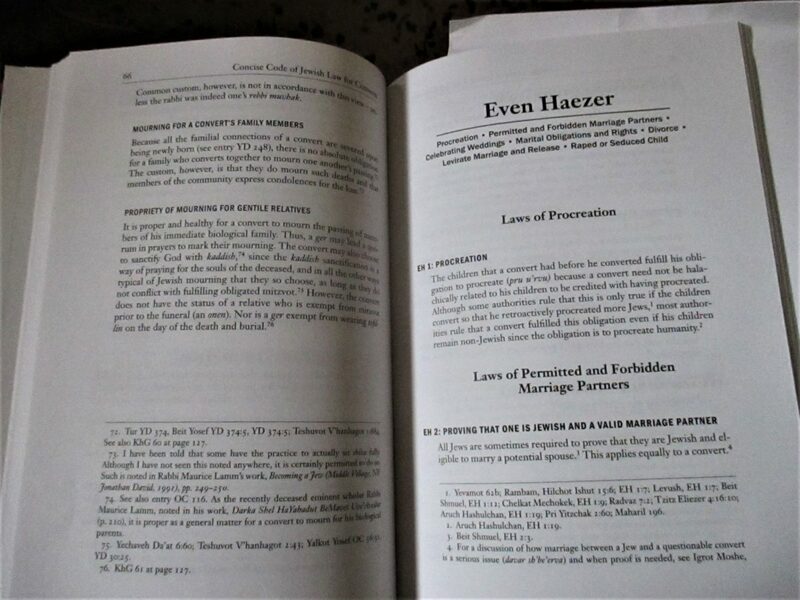 I must admit that I’m not an expert in halacha, Jewish Law, nor do I make it a practice to read books about halacha. 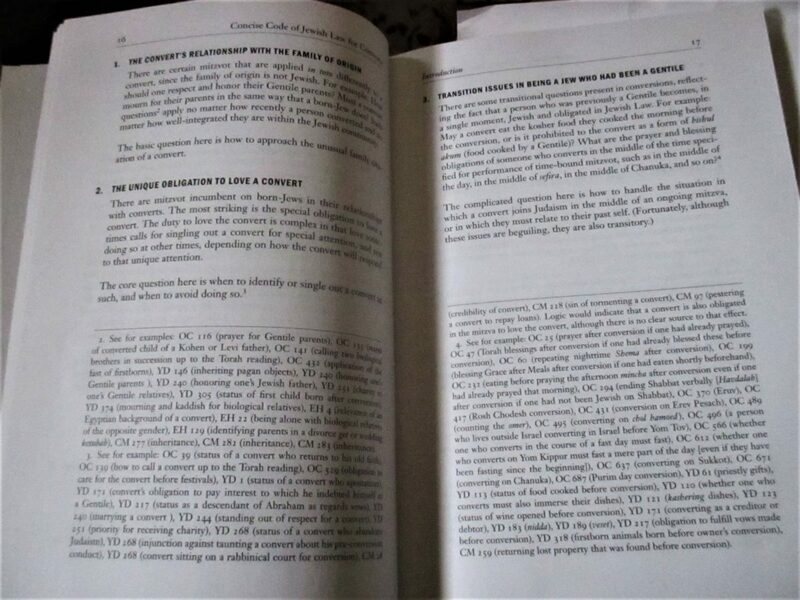 And I had no idea what I would be getting myself into when I asked to review A Concise Code of Jewish Law for Converts. So I really must say that this book about conversion and the halachic ramifications is fascinating and appropriate for laymen like myself. To summarize, every synagogue library should have a copy or two.